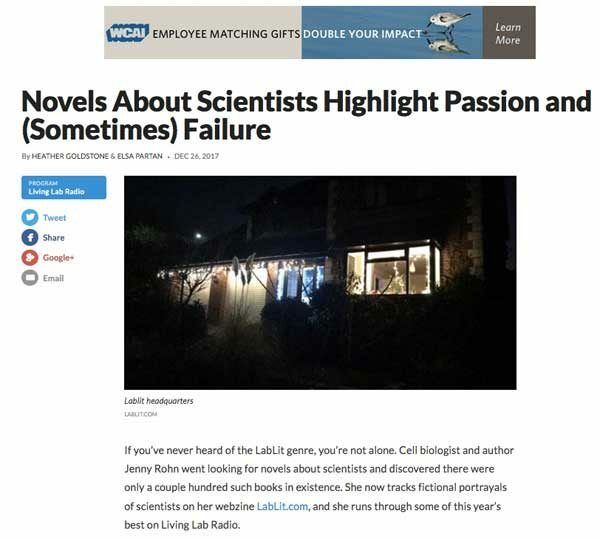 As the old year dribbles to a close under heavy grey skies and relentless rain here in southeast England, just a quick note to point you towards a recent interview of me on US National Public Radio, chatting to host Heather Goldstone about a few science-in-fiction novels that kept me busy over the past year. They’re all either out in 2017, or the paperback versions were. This entry was posted in LabLit. Bookmark the permalink.